This healthy popsicle recipe is based on the Bomb Pops that I loved as a kid. They are sugar free, low fat, FULL of flavor, and super healthy! When we heard the ice cream truck in my Grandparents neighborhood, we’d all come running. My sister liked the kind with the bubblegum ball in the bottom. I liked the bomb pop- it was larger, and you got three lovely flavors to enjoy. 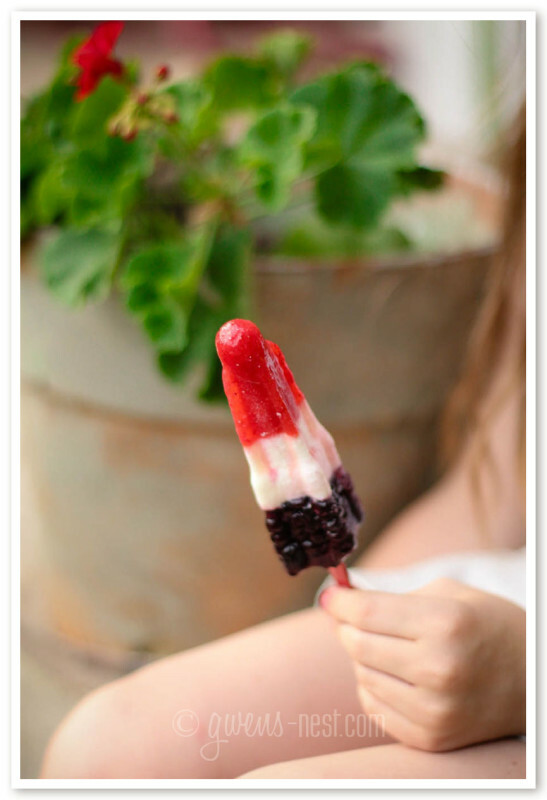 The ice cream truck bomb pops were cherry, lime, and blue raspberry flavored. And they were FULL of sugar. And I would almost bet my flip flops that they had no actual fruit in them. But they bring back the summers of my childhood. 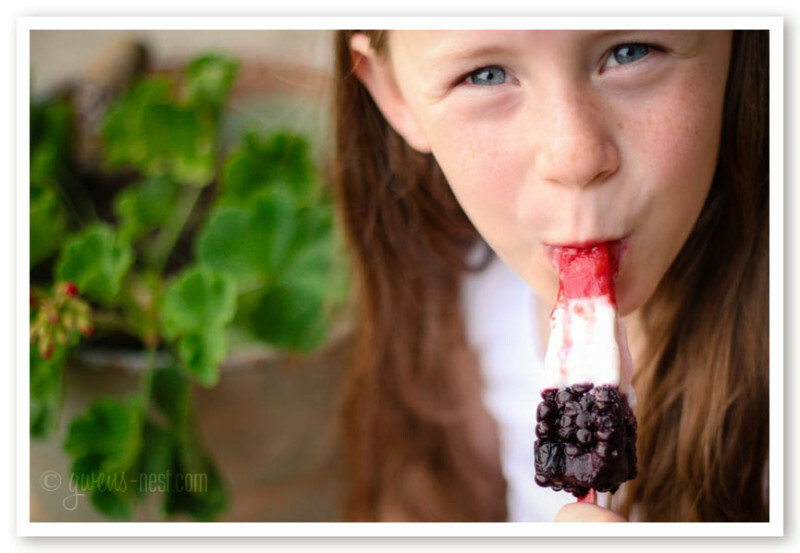 This simple, healthy popsicle recipe is everything good about those rocket shaped Bomb Pops, but without all of the artificial flavors and sugar. They’re tart, sweet, and perfect for a hot summer afternoon. I changed up the flavors a little with this strawberry, lime, blueberry treat, but it still sports that patriotic color scheme, and that *essential* sour middle layer. This is a treat I’m happy to share with my kids, and they love making them with me. Let’s make a batch! 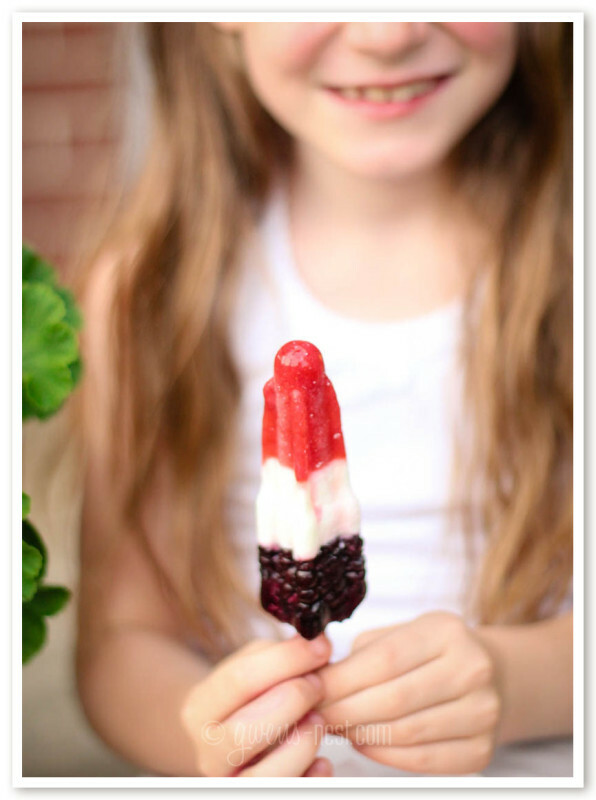 Super healthy red white and blue popsicle recipe is a blast on the fourth of July or any hot summer day. Mix strawberries with about 1 tablespoon of sweetener. Taste- it should be a bit sweeter than you'd like if eaten at room temp. Fill the bottom third of your popsicle molds with strawberry puree. Blend Greek yogurt (or coconut milk), lime juice, and 1 tablespoon sweet blend until smooth. If you were messy with your strawberry puree, quickly rinse off any drips inside the mold under cold water before adding your middle white lime layer. Fill middle third of your popsicle mold with the lime yogurt (or coconut lime mix). Here's the drill: you can't use the fancy sticks that come with the molds. They're a pain to keep up with, and you need a stick that you can pour your last layer around. So go ahead and stand wooden sticks in the lime layer. If you used coconut milk, you may need to place a layer of foil over the pop molds to hold the stick up straight while they freeze. Freeze for another hour or so until frozen solid. Smash or puree blueberries, and mix in 1 tablespoon of sweet blend. Fill the molds to the top, and return to freezer. To unmold, run pop under warm water and remove from mold. If you're using the dairy free coconut version, these would be a THM S recipe. If you use Greek yogurt, they'd be a THM FP recipe. 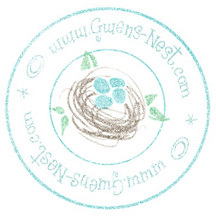 Sweeteners: You may use xylitol or erythritol to keep this low carb, or stevia extract. Adjust amounts to suit your taste. You may use honey to keep it refined sugar free- this is the option I like to use for my kids. Freezing reduces the sweet taste, so taste test and make sure that each layer is slightly sweeter than you want your finished pop to be.